Asiad Steels is one of the known manufacturers, suppliers and exporters of ASTM A182 GR.F53 Super Duplex Steel Nuts, which possesses very high mechanical properties. ASME SA 182 GR.F53 Super Duplex Steel Hex Nuts is a corrosion resistant austenitic-ferritic Super Duplex steel for applications where conventional Duplex grades do not meet the corrosion requirements. ASTM A182 GR.F53 Super Duplex Steel Lock Nuts exhibits a low coefficient of thermal expansion and higher heat conductivity than austenitic steels and is suitable for working temperatures up to 300 Degree C. ASME SA 182 GR.F53 Super Duplex Steel Self-Locking Nuts is generally supplied with a Pitting Resistance Equivalent of greater than 40 which guarantees high resistance to pitting corrosion. Due to excellent resistance to pitting and crevice corrosion resistance, ASME SA 182 GR.F53 Super Duplex Steel Nylon Insert Nuts is used primarily in highly corrosive conditions. The high chromium and molybdenum content of ASTM A182 GR.F53 Super Duplex Steel Coupler Nuts makes it extremely resistant to uniform corrosion by organic acids like formic and acetic acid. 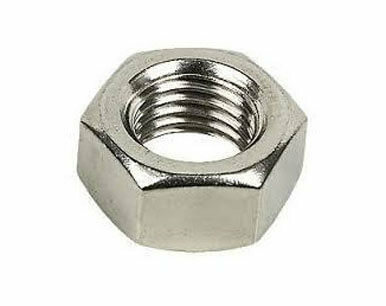 ASME SA 182 Super Duplex F53 Nuts also have high mechanical strength and low thermal expansion due to the duplex structure. With certain amount of chromium, molybdenum and nickel, ASTM A182 Super Duplex F53 Lock Nuts is designed for demanding applications which require exceptional strength and corrosion resistance. 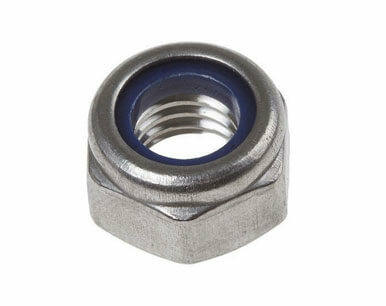 These ASME SA 182 Super Duplex F53 Hex Nuts are often used in Pumps, valves, chokes, pipework / flanges, bolting, connectors & manifolds, and also in oil and gas industry. 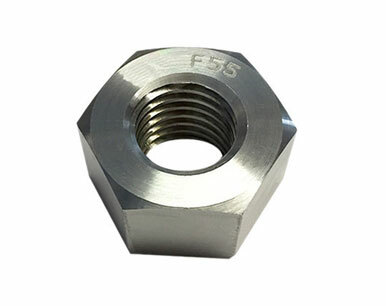 Buy Super Duplex F53 Nuts in leading market price from us. We are Exporter of ASTM A182 GR F53 locking nuts in Worldwide Such as India, Kuwait, Sweden, United Arab Emirates, Portugal, Bulgaria, New Zealand, Qatar, France, Poland, Croatia, China, Israel, Switzerland, Macau, Chile, Belgium, Bangladesh, Kazakhstan, Bolivia, Tibet, Pakistan, South Africa, Spain, Argentina, Brazil, Bhutan, Libya, Romania, Austria, Turkey, Taiwan, Poland, Chile, Egypt, Nepal, Venezuela, Trinidad & Tobago,Tunisia, Nigeria, Vietnam, Algeria, Namibia, Russia, Malaysia, Lithuania, Estonia, Singapore, Serbia, Afghanistan, Germany, Mexico, Mexico, Iraq, Ireland, Azerbaijan, Puerto Rico, Kenya, United States, Italy, Peru, Thailand, Japan, Mongolia, Denmark, Gabon, South Korea, Ghana, Canada, Nigeria, Australia, Indonesia, Philippines, Czech Republic, Ukraine, Hong Kong, Gambia, Zimbabwe, Jordan, Finland, Yemen, Bahrain, Iran, Morocco, Lebanon, Hungary, Oman, Ecuador, United Kingdom, Angola, Greece, Iran, Netherlands, Belarus, Norway, Costa Rica, Slovakia, Sri Lanka, Colombia, India, Saudi Arabia. We are Suppliers of Super Duplex Steel Alloy GR F53 coupler nuts in India Such as Mumbai, Jamshedpur, Chandigarh, Jeddah, Hyderabad, Haryana, Courbevoie, Ulsan, Aberdeen, Kanpur, Rio de Janeiro, Busan, London, Muscat, Manama, Houston, Faridabad, Al Khobar, Ludhiana, Visakhapatnam, Bogota, Edmonton, Gurgaon, Surat, New York, Sharjah, Brisbane, Cairo, Singapore, Hong Kong, Nashik, Ernakulam, Gimhae-si, Rajkot, Bhopal, Montreal, Bangkok, Madrid, Colombo, Mumbai, Coimbatore, Petaling Jaya, Kuala Lumpur, New Delhi, Nagpur, Perth, Lagos, Dubai, Ahmedabad, Ankara, Ho Chi Minh City, La Victoria, Noida, Granada, Pimpri-Chinchwad, Doha, Ranchi, Atyrau, Howrah, Ahvaz, Santiago, Seoul, Calgary, Thiruvananthapuram, Bengaluru, Mexico City, Caracas, Dallas, Jakarta, Port-of-Spain, Istanbul, Vung Tau, Los Angeles, Jaipur, Dammam, Kuwait City, Melbourne, Algiers, Riyadh, Secunderabad, Geoje-si, Moscow, Sydney, Milan, Chennai, Karachi, Vadodara, Thane, Hanoi, Al Jubail, Tehran, Toronto, Baroda, Lahore, Chiyoda, Pune, Abu Dhabi, Kolkata, Navi Mumbai, Indore.